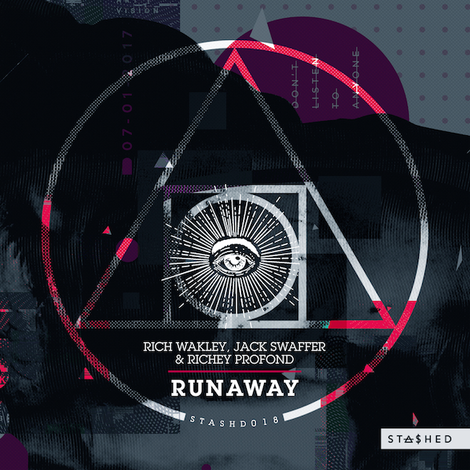 Rich Wakley joins forces with Jack Swaffer & Richey Profond on ‘Runaway’, which is possibly shaping up to be a big record for the summer season and a decent release for the Stashed stable. Whether it’s topping the Beatport charts, releasing on labels like Avotre, Suara, Lost and Roush or blasting out sets all over the world, Rich Wakely’s mix of beats and grooves is apparently proving popular. Recent releases on OFF, Definition, Mile End and Resonance – bolstered by remixes from the likes of Darius Syrossian and Jamie Trench – have possibly established Rich as a force to be reckoned with. Here he teams up with the production duo of Jack Swaffer & Richey Profond, who have already notched up releases on imprints Madtech, elrow Music, 303Lovers, Lapsus, Witty Tunes and more. The track has a combination of hard-hitting tech-edged beats and vocals that aims to send dancefloors into overdrive when it’s dropped. It’s released 11 May, check it out below.